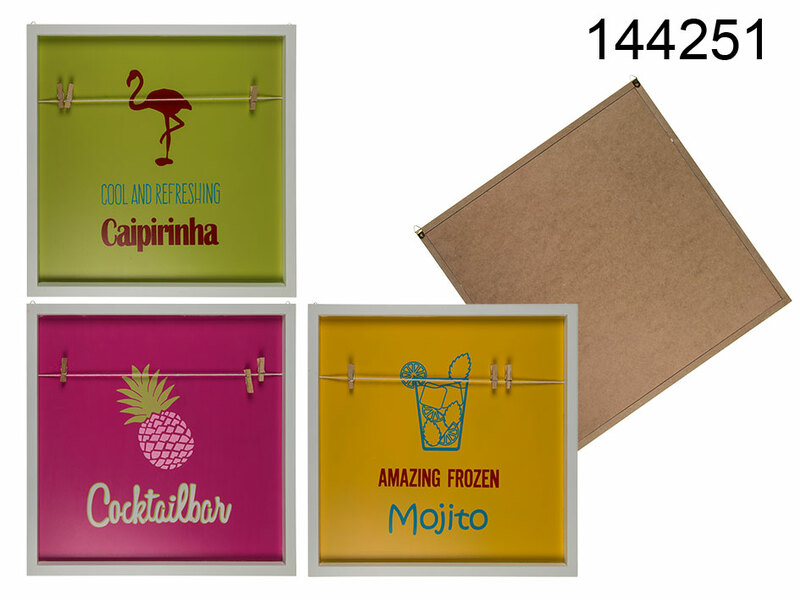 Eye-catching wooden frame with a single string and 3 wooden clips that allow you to attach pictures or notes. Wall-mounted. Three colourful models available - assorted. Beautiful decorative item for a home or a bar.